Use the app’s calendar function to simply and clearly share your school calendar with parents. 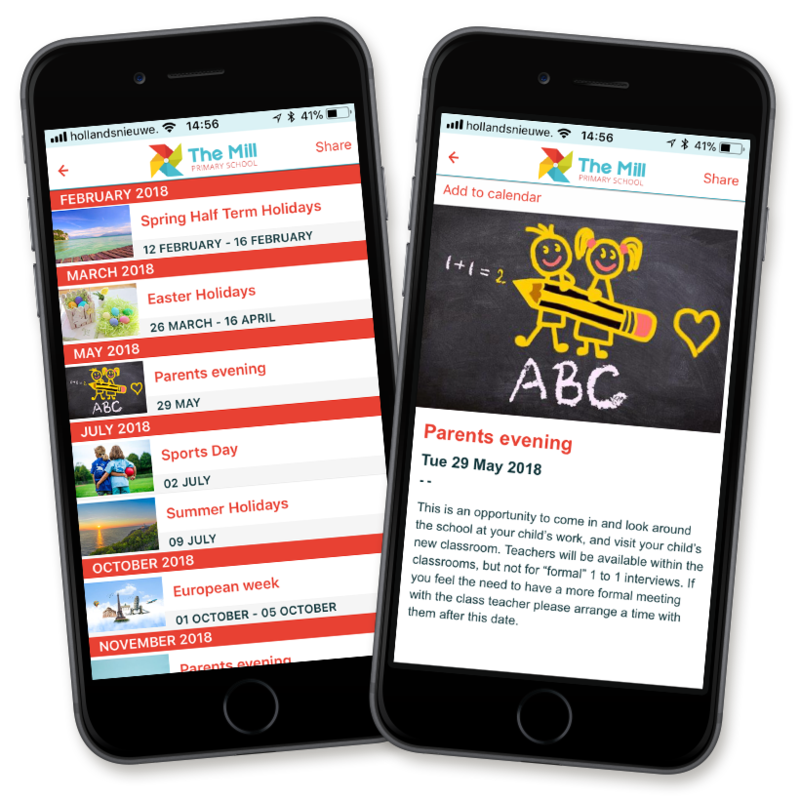 Your app will has a ready-made handy school calendar that can be used to display all kinds of events. You can list upcoming and reoccurring events for your users to see. Holidays, Term Dates, afterschool-clubs and much more can be added to the calendar. If you’d rather sync your school app calendar with your website, we can do that too!